They hold me in. They lift me up. They make me look ten pounds lighter. I can wear them for three or four days before they start to lose their shape. 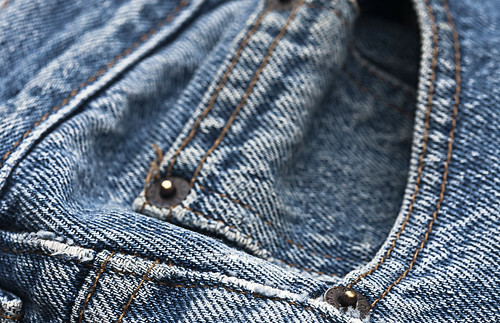 However, I have a bone to pick with the proponents of short-zippered jeans that show your “crack” when you bend over. We make fun of plumbers for the very same exposure. Why is it any different for women? Are our “cracks” any more attractive? All women, regardless of their size, look better in clothes that fit. And as far as the infamous “mom” jeans-what’s the big deal? Maybe some women prefer comfort over fashion. Isn’t that o.k. ?